“The decision to suspend the Chief Justice has led to many Nigerians, including lawyers and civil society observer groups, to question whether due process was followed. The timing, just before the swearing in of justices for Electoral Tribunals and the hearing of election-related cases, has also raised concerns about the opportunity for electoral justice. When democracy comes under this kind of virulent attack, then the election itself becomes superfluous,” a spokeswoman for the EU’s Election Observation Mission said in a statement. 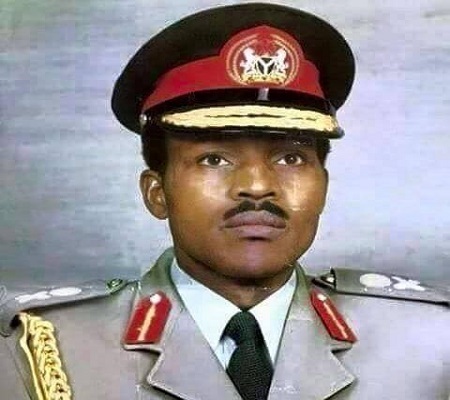 Civil society bodies, Western nations believe Buhari’s move is synonymous to tyrannical and unconstitutional behavior unbecoming of a democratic leader which intimidates the independence of judiciary. But the move was labelled a “coup against democracy” by the President of the Nigerian Senate, and prompted an outcry from the country’s major opposition party, which halted its presidential election campaign in protest. Describing the action as a “dangerous and brazen assault on the constitution,” the Campaign Council of the opposition People’s Democratic Party (PDP) said Friday that there was no point in campaigning in an election whose basis has been so flagrantly undermined. Buhari is seeking a second term as president in next month’s elections, but his party has been accused of vote-buying by political opponents. As the country’s top judge, Onnoghen would have ruled on any legal challenge to the election. That potential responsibility would now fall to Ibrahim Tanko Muhammad, whom Buhari swore in as acting Chief Justice of Nigeria (CJN) following his suspension of Onnoghen. The European Union (UN), which had been asked to observe the elections by the National Electoral Commission, said it was “very concerned” by the judge’s suspension. Meanwhile in a statement from the United States government, it challenges the neutrality of President Buhari to conduct a free, fair, peaceful and credible election. In a statement challenging the suspension and replacement of the Chief Justice, it reads: “The Embassy of the United States is deeply concerned by the impact of the executive branch’s decision to suspend and replace the Chief Justice and head of the judicial branch without the support of the legislative branch on the eve of national and state elections. We note widespread Nigerian criticism that this decision is unconstitutional and that it undermines the independence of the judicial branch. The PUNCH Newspaper Editorial Board heaped blame on Buhari for unconstitutional behaviors. It reads: “President Muhammadu Buhari surrendered all pretence to the rule of law and constitutional democracy by sacking the Chief Justice of Nigeria, Walter Onnoghen. Unilaterally and in flagrant violation of the Constitution, he also swore in Tanko Muhammad as the new acting CJN. By this act, the President has precipitated needless confusion in the polity. A shocking action, it will aggravate tension ahead of the general election in February and March. This poses a great peril to our democracy. Onnoghen’s travails began late in 2016. His substantive elevation as the CJN suffered delay by the Buhari government to the bewilderment of the public. Early in 2017, he was eventually nominated by Vice-President Yemi Osinbajo, who was then the Acting President and was sworn into office in March (2017). But the real signs of trouble blew open on January 7 when a civil society group, the Anti-Corruption and Research Based Data Initiative, filed a petition with the Code of Conduct Bureau, accusing Onnoghen of corruption and false declaration of assets. The CCT immediately took over from there, commencing the trial of the CJN. Initially, the Buhari Presidency denied having anything to do with his arraignment. In spite of criticism that the move against Onnoghen did not follow laid-down rules the trial proceeded with unusual speed. But on Thursday, the Court of Appeal, Abuja Division, in its ruling, ordered the CCT to stay action, pending the determination of Onnoghen’s application that the CCT had no power to try him. Before his suspension, Onnoghen was due to swear in members of the National Assembly, governorship and state assembly election petition tribunals. No matter how grave the allegations levelled against the CJN, the Buhari government cannot resort to self-help in addressing the matter, much against the position of the 1999 Constitution. In the Third Schedule, Part 1, the constitution expressly states the procedure that should be followed in removing the CJN. The process is initiated by the National Judicial Council. According to Third Schedule, Part 1, Section 21 (b), “The NJC shall have power to recommend to the President the removal from office of the judicial officers specified in sub-paragraph (a) of this paragraph, and to exercise disciplinary control over such officers.” The officers listed therein are the CJN, Justices of the Supreme Court, the President and Justices of the Court of Appeal; the Chief Judge and Judges of the Federal High Court. Not leaving anything to chances, Buhari in a press read-out on why suspended the Chief Justice of Nigeria, he said, “ A short while ago, I was served with an Order of the Code of Conduct Tribunal issued on Wednesday 23rd January 2019, directing the suspension of the Chief Justice of Nigeria, Honourable Justice Walter Nkanu Samuel Onnoghen from office pending final determination of the cases against him at the Code of Conduct Tribunal and several other fora relating to his alleged breach of the Code of Conduct for Public Officers. Unfortunately, he has not done so. Instead, the nation has been treated to the sordid spectacle of a judicial game of wits in which the Chief Justice of Nigeria and his legal team have made nonsense of the efforts of the Code of Conduct Tribunal to hear the allegation on merit and conclude the trial as quickly as possible considering the nature of the times in which we live. 7. Whether deliberately or inadvertently, we have all seen the full weight of the Chief Justice of Nigeria descend on the tender head of one of the organs of justice under his control. There is simply no way the officers of that court, from the Chairman to the bailiffs, can pretend to be unaffected by the influence of the leader of the Judiciary. 8. Not only the trial court, but others have been put on the spot. Practically every other day since his trial commenced, the nation has witnessed various courts granting orders and counter-orders in favour of the Chief Justice of Nigeria, all of them characterised by an unholy alacrity between the time of filing, hearing and delivery of judgment in same. 9. The real effect has been a stalling of the trial of Justice Onnoghen, helped along by lawyers who insist that these orders, whether right or wrong are technically valid, and must be obeyed till an appellate Court says otherwise. No doubt that it is the proper interpretation, but is it right disposition for our nation?. 10. Nigeria is a constitutional democracy and no one must be, or be seen to be, above the law. Unfortunately, the drama around the trial of the Chief Justice of Nigeria has challenged that pillar of justice in the perception of the ordinary man on the street. For it is certain that no ordinary Nigerian can get the swift and special treatment Justice Onnoghen has enjoyed from his subordinates and privies in our Judicature. 11. In the midst of all these distracting events, the essential question of whether the accused CJN actually has a case to answer has been lost in the squabble over the form and nature of his trial. This should not be so. 12. If Justice cannot be done and clearly seen to be done, society itself is at risk of the most unimaginable chaos. As a Government, we cannot stand by wailing and wringing our hands helplessly but give our full backing and support to those brave elements within the Judiciary who act forthrightly, irrespective of who is involved. 13. As you are all aware, the fight against corruption is one of the tripod of policies promised to Nigerians by this administration. Needless to say that it is an existential Policy which must be given adequate attention and commitment by all the three arms of government. The efforts of the Executive will amount to nothing without the cooperation of the Legislature and especially the Judiciary. 14. It is no secret that this government is dissatisfied with the alarming rate in which the Supreme Court of Nigeria under the oversight of Justice Walter Onnoghen has serially set free, persons accused of the most dire acts of corruption, often on mere technicalities, and after quite a number of them have.